Stanly Community College (SCC) has announced Mr. Luke Essex and Mrs. Tanya Nicks as the 2018 Staff and Faculty of the Year. Mr. Essex is currently a counselor for the Schools of Business & Technology and Advanced Manufacturing, Industry, Technology, and Trades (AMITT). He has been with SCC for 6 years. As a school counselor, Luke is responsible for all aspects of counseling students and coordinating individual and group counseling services that support current and prospective community college students in meeting their career, personal, educational and academic goals. Luke has been involved with numerous community projects, such as the Stanly County Suicide Prevention Task Force and the S.A.G.E. (Stanly Albemarle Gang Eradication) initiative. 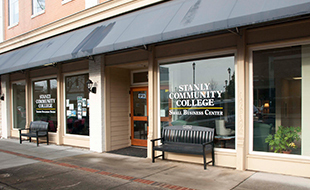 Additionally, Luke received, with the assistance of SCC, the Board Certified- TeleMental Health Provider credential. Luke holds a B.A. from UNC Wilmington and a M.Ed. from Winthrop University. Mrs. Nicks is currently a Psychology instructor and has been with SCC for 10 years. During her time at SCC, Tanya has served on the Learning Evidence Committee, Faculty Senate, and the Nominating Committee for New Scholar scholarships. Over the past few years, she has donated her time to lead the Stanly County Quiz Bowl. This event partners with community members and organizations to host a high school quiz bowl on the SCC campus. Tanya holds a B.A. from UNC-Chapel Hill and a M.A. from Western Carolina University. 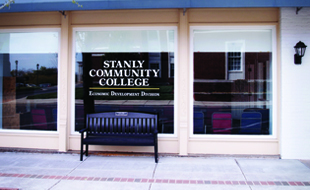 "Luke and Tanya represent the very best that exemplifies Stanly Community College" stated SCC President, Dr. John Enamait. "They both have a zeal for a student-centric mindset. 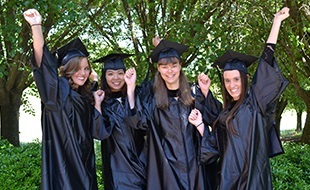 They avail themselves to go above and beyond to help our students succeed and are a great asset to this college and our community." They have been nominated by Dr. Enamait as candidates for the respective North Carolina State Board of Community College, 2019 Staff of the Year and Excellence in Teaching Awards. SCC 2018 Staff and Faculty of the Year, Luke Essex and Tanya Nicks.